Please request shipping quote when ordering. Maine Sales Tax collected on orders placed by or shipped to Maine residents. Reproductions of the ca. 1925 Islesboro Land & Improvement Company's "Map of Dark Harbor." Long out of print, the map depicts the southern end of the island and shows the location and owner's name of many of the Dark Harbor Colony's cottages. The Bicentennial quilt shown on the notecards was created to commemorate Islesboro, Maine’s 200th year. Each square was designed and sewn by an island quilter to depict a favorite Islesboro scene. This historic quilt is now in the permanent collection of the Islesboro Historical Scoiety. Published by the Islesboro Historical Society on its 25th anniversary as its contribution to the town’s bicentennial, this new book provided the first in-depth look at the island’s golden era of summer cottages. Illustrated with old photographs and architectural drawings as well as recent views. Author: Earle G. Shettleworth, Jr.
At age 77, W. Henry Hatch, wrote these recollections of living on Islesboro. The Islesboro Historical Society’s purpose is brought to life in this book where Islesboro writers share tales, insight and humor. Also included are photographs of fifty of the Society’s treasures, many of them unseen for years. Published by the Islesboro Historical Society on its fiftieth anniversary. This early history of Islesborough, collected and written by John Pendleton Farrow, Master Mariner was originally published in 1893. This book has been reprinted four times and documents daily life on the island including early families’ history and local industry. An early map showing the original lots, as well as descriptions of individual lots is also included. A supplement with additions and corrections is also available for sale. 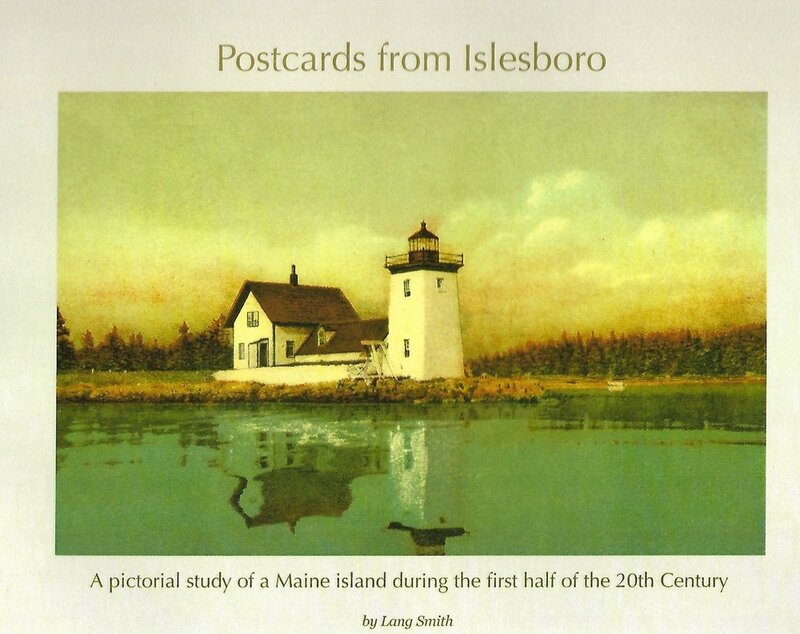 This second History of Islesboro, commissioned by the Historical Society, was a true island-wide collaboration. Preserving and archiving stories from the island, this compilation updates Farrow’s work with a collection of interviews, town reports, and other records. Built on land given by Shubael Williams (one of the first settlers on the island) in 1794. Rebuilt in 1894, used for town business and as a high school until 1953.